Fri., 24 May - Fri., 14 Jun. Sat., 22 Jun. - Sat., 22 Jun. Fri., 12 Jul. - Sat., 20 Jul. Sat., 25 May - Fri., 7 Jun. 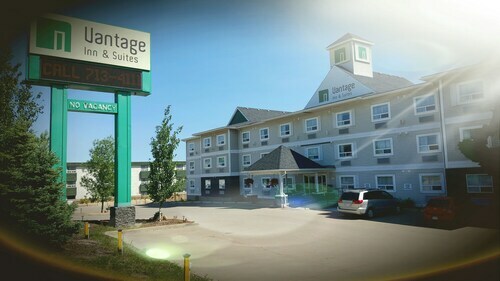 Situated near the airport, this eco-friendly hotel is within 3 mi (5 km) of Oil Sands Discovery Centre, Heritage Park, and Northern Lights Regional Health Center. MacDonald Island Park is 4.5 mi (7.3 km) away. 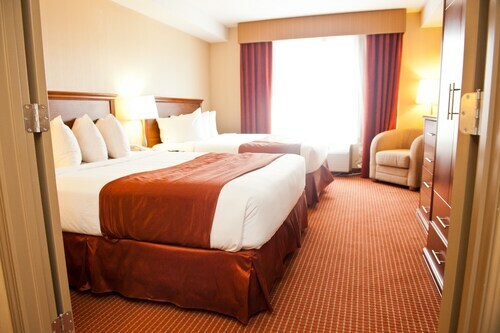 Situated in Fort McMurray, this eco-friendly hotel is within 3 mi (5 km) of Oil Sands Discovery Centre, Heritage Park, and Northern Lights Regional Health Center. Peter Pond Mall and MacDonald Island Park are also within 6 mi (10 km). 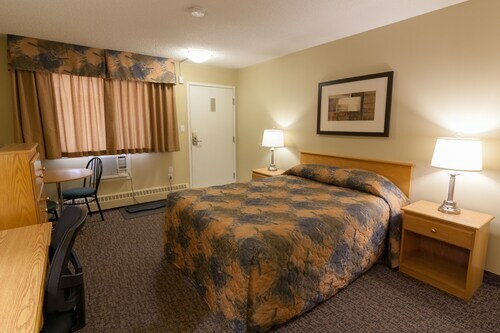 Situated in Fort McMurray, this hotel is within 3 mi (5 km) of Oil Sands Discovery Centre, Heritage Park, and Northern Lights Regional Health Center. Peter Pond Mall and MacDonald Island Park are also within 6 mi (10 km). 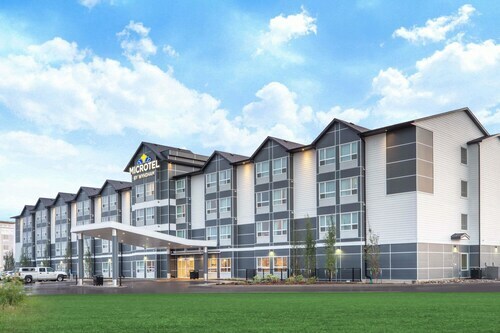 Situated in Fort McMurray, this hotel is 1.2 mi (1.9 km) from Oil Sands Discovery Centre and within 3 mi (5 km) of Heritage Park and Northern Lights Regional Health Center. Peter Pond Mall and MacDonald Island Park are also within 6 mi (10 km). 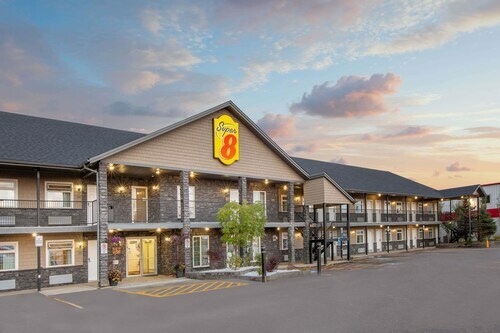 Situated in Fort McMurray, this hotel is within 1 mi (2 km) of Northern Lights Regional Health Center, Heritage Park, and Peter Pond Mall. MacDonald Island Park is 2.1 mi (3.4 km) away. 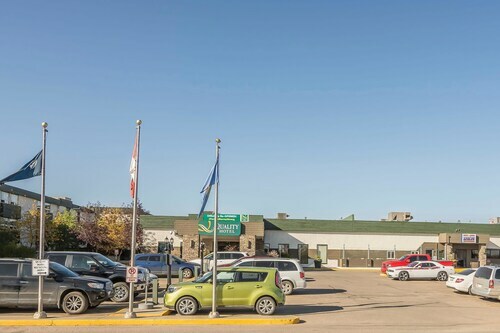 Situated in Fort McMurray, this motel is 1.1 mi (1.8 km) from Oil Sands Discovery Centre and within 3 mi (5 km) of Heritage Park and Northern Lights Regional Health Center. Peter Pond Mall and MacDonald Island Park are also within 6 mi (10 km). Question : What is the cheapest airline flying from Toronto to Fort McMurray? Answer : Prices are hitting highs of $673 over the next three months when flying to YMM from YYZ. Check out Air Canada, as they have ticket reservations at just $492. Question : How many flights are there per day from Toronto to Fort McMurray? Answer : The number of flight times varies by day of the week, but on average, YYZ to YMM sees five different options. The average route departing Canada currently has six different flight times per day, so expect fewer choices than you're used to. Answer : The cheapest day to fly from Toronto to Fort McMurray is on Tuesday. So, if you would like to save a bit of cash on your next business trip look for flights on Tuesday. Question : How long is the flight from YYZ to YMM? Answer : Air Canada can take you there in four hours and eight minutes. So, if you were to leave Toronto at 9:35 PM EDT, you would arrive in Fort McMurray at 11:43 PM MDT. Giving you enough time to catch up on your work before you land. Don't forget the two hours time change. So, synchronize your watches. Question : How long does it take to fly from Toronto to Fort McMurray? Answer : If you are travelling on Air Canada, your flight will be about four hours and eight minutes (remember, there is a time change of two hours). Question : Which airline has the least delays from Toronto to Fort McMurray? Answer : Booking with WestJet means you will arrive to Fort McMurray . In fact, this airline has a 100% average for getting there on time. Of course, it never hurts to be prepared. If you’re on Air Canada, be sure to sign up for the delay notifications to stay up to date with your flight’s status. Answer : Yes, you can adjust your departure or arrival date. If you would like to save a little money in doing so, the lowest-cost day to fly in April is Tuesday. If you like to go with the flow, you may just find that you can pocket some extra cash.